A multi-faceted screening programme was designed to search for the oxidases, laccase, peroxidase and tyrosinase. 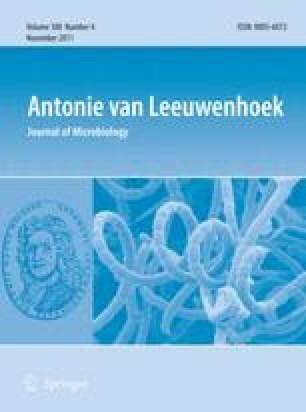 Actinobacteria were selectively isolated from the paunch and colon region of the hindguts of the higher termite, Amitermes hastatus. The isolates were subjected to solid media assays (dye decolourization, melanin production and the utilization of indulin AT as sole carbon source) and liquid media assays. Eleven of the 39 strains had the ability to decolourize the dye RBBR, an indicator for the production of peroxidases in actinobacteria. Melanin production on ISP6 and ISP7 agar plates served as a good indicator for laccase and/or tyrosinase production and the ability of the strains to grow in the presence of indulin AT as a sole carbon source served as a good indicator of lignin peroxidase and/or general peroxidase production. Enzyme-producing strains were cultivated in liquid media and extracellular enzyme activities measured. Strains with the ability to produce oxidative enzymes under the conditions tested were identified to genus level by 16S rRNA gene analysis and compared to known oxidase producers. A strong relationship was observed between the environment sampled (termite guts where lignocellulose degradation occurs) and the dominant type of oxidative enzyme activity detected (laccases and peroxidases), which suggests the possibility of future targeted screening protocols linking the physical properties of the target enzymes with specific operational conditions required, such as lignocellulosic degradation in the preparation of biofuel feedstocks. The online version of this article (doi: 10.1007/s10482-011-9614-x) contains supplementary material, which is available to authorized users. Jeffrey Rohland isolated the actinobacterial strains and performed the 16S rRNA analysis of some of the strains, while Marilize Le Roes-Hill performed the screening for oxidative enzymes and some 16S rRNA analyses. We wish to thank Dr Paul Meyers (Department of Molecular and Cell Biology, University of Cape Town; UCT) for the strains from termite guts isolated by Jeffrey Rohland, Dr David Labeda for the actinobacterial control strains (USDA, ARS, NRRL culture collection) and Di James for DNA sequencing, UCT. We also acknowledge funding: Marilize Le Roes-Hill held a Claude Leon Foundation Postdoctoral Fellowship; Jeffrey Rohland was funded by the National Research Foundation (NRF) of South Africa and the University of Cape Town; and Prof. Stephanie Burton is funded by the NRF of South Africa and the Cape Peninsula University of Technology.